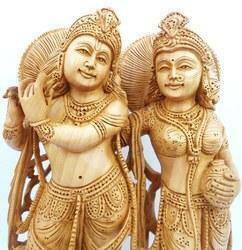 Being a practiced company, we are offering the paramount quality assortment of Wooden Radha Krishna Statue. 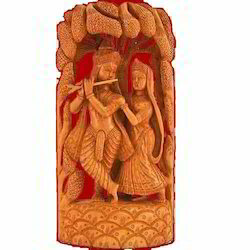 Owing to our modern mindset of craftsmen, we offer an elite range of Wooden Radha Krishna. 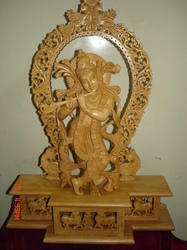 Owing to our state-of-art crafting unit and highly crafted technology, we are providing Wooden Krishna. Our company holds specialization as the renowned manufacturer, wholesaler, trader, retailer and supplier of Wooden Krishna Statue. 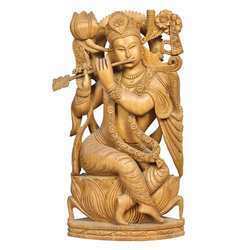 Being a practiced company, we are offering the paramount quality assortment of Wooden Ram Laxman sita statue. The offered statue is crafted high grade material, in accordance with quality standards under the supervision of skilled craftsmen. 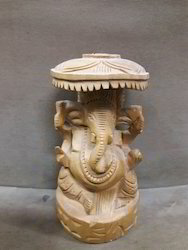 Offered statue is known in the market due to its excellent finish & designs. Customers can avail this statue from us at affordable rates.